The spirit of the time demands a high flexibility and independence, a trend which carries the origin of paragliding into the future. Minimal weight and simple handling - the ANNAPURNA sends the perfect statement and redefines mobility. is a perfect all-rounder of unlimited possibilities. 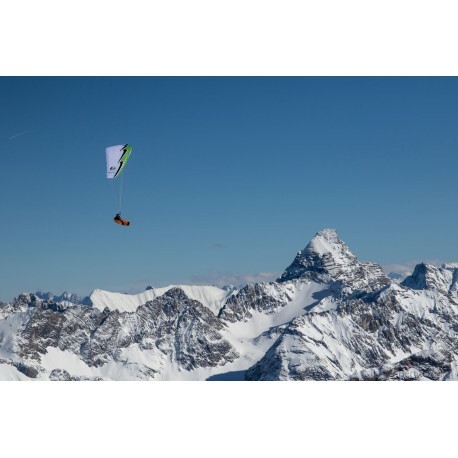 Its elaborate lightweight construction is developed for long-term durability and not only convinces during carrying, but even more so in mid-air. 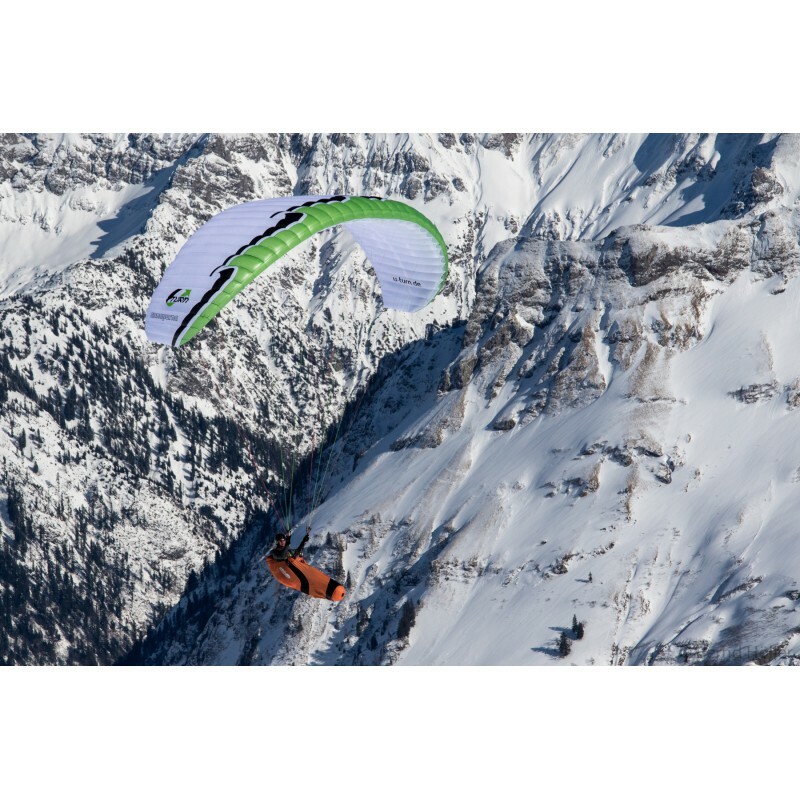 The ANNAPURNA combines outstanding glide features with sweet-tempered reaction behavior. This is additionally promoted by the minimal weight of the canopy. Nevertheless the wing has a good will to turn, provides a sportive handling and directly and instantly transforms control pulses. When in thermal lift it conveys a steady feeling and is unperturbed by turbulent conditions. Especially in harsh alpine conditions the ANNAPURNA offers a very reliable starting behavior besides the sweet-tempered flying features. The light canopy rises almost on its own over the pilot, even in tricky conditions, and takes off with low running speed. Because of the outstanding slow flight features, the take-off distance is very low. This feature will especially be appreciated after a strenuous climb. The ANNAPURNA builds on the enormous existing knowledge and experience from the high-performing Hike&Fly reference EVEREST and enhances the U-Turn Light-Line with an ultra-light low end B alternative. chief designer Ernst Strobl focused on simplification through innovative construction features. 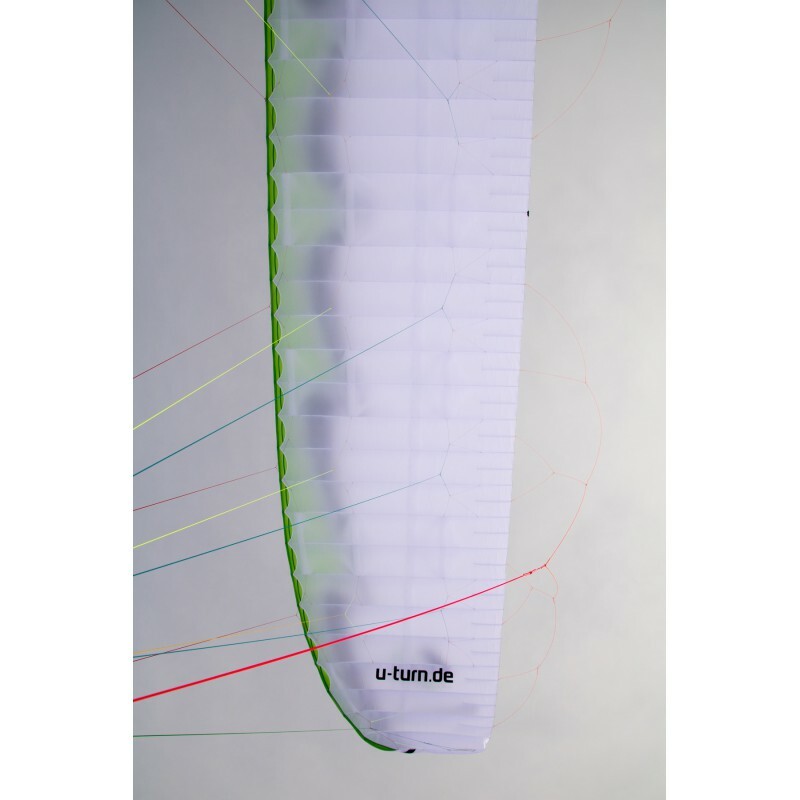 The 3D-shaping and elaborate calculations of the ballooning combined with the optimized pre-tensioning of the wing, provide the ideal flow around the profile. The Precision Profile Nose System (PPN) helps to provide the optimized flow alongside the whole cell opening area. Miniribs and the Brake Gathering System (BGS) are transmitting control pulses to the wing with high efficiency and precision. The elaborate calculations of the High Pressure Crossport Design (HPCD) are not only providing optimized performance weight, but also maximize the lateral aeration of the crossports. 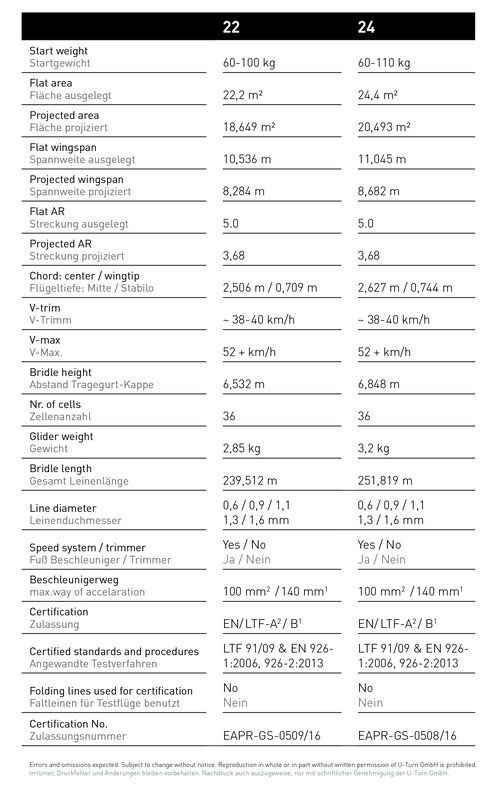 A very well-structured line concept with few main lines provides easy handling and a good overview during the launch. The risers are equipped with the Multiple Speed System (MSS) and through a second pulley the accelerator travel can be shortened and thereby the glider can be turned into a LTF-A Hike&Fly wing that is suitable for training.